In this summer school we focus on the mathematical topics of crime and image processing which currently attract a lot of attention both from mathematical research and from real-world applications, but where these two sides are rarely taught together. The summer school will combine a traditional research school that introduces the participants to mathematical topics, theory and techniques of current interest with a typical modelling week, where the participants will apply these techniques to specific real-world problems. These problems will be investigated by the participants in small teams during several days of hands-on group work. Two types of techniques will be taught for each topic, one based on partial differential equations (PDEs) and the other on a discrete approach such as networks. These techniques involve data modelling and processing, which are rapidly growing in their importance for industrial and applied mathematics. The real-world problems will be chosen to allow for the application and combination of both types of techniques. The intention is to provide the participants with a working knowledge of multiple approaches and an understanding of how they can be combined to address complex modelling problems in multiple application areas. Due to the intensive group supervision requirement in the project phase, the research school is limited to about 30 participants, which are split into groups with 5-6 members for each case study project. The lectures and practicals are held entirely as single session events so that the participants are exposed to all application areas and techniques. 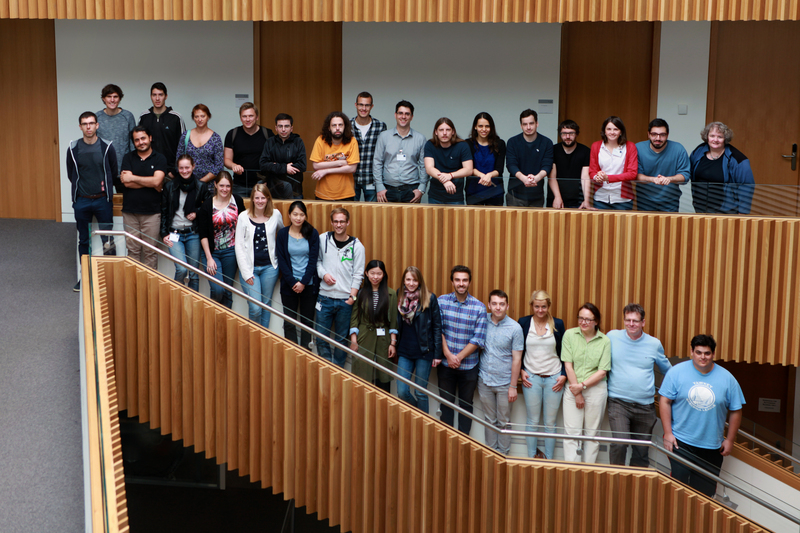 The school will be held between July 4th - July 8th, 2016, at the Mathematical Institute in Oxford (UK). Arrival is on Sunday, departure on Friday afternoon. The programme will begin with lectures and practicals on Monday and Tuesday, followed by group work on the case study projects from Wednesday to Friday morning. The school ends on Friday early afternoon with presentations by each group reporting on the outcome of their investigations. Oxford is well connected to public transport (train and bus coaches) and there are frequent bus coaches in particular to London Heathrow and Gatwick. The web page of the Mathematical Institute provides detailed travel information. Important visa advice for Non-EU citizens: Please be advised that if a visa is required for the purpose of your visit to Oxford it is your responsibility to ensure the correct visa is obtained for the nature of your visit and a scanned copy must be sent to the department in advance of your arrival. Participant are asked for a registration fee of 150 GBP which covers coffee and lunch meals, the academic programme, and, for non-local residents, accommodation Sun-Fri (5 nights) including breakfasts, and the social dinner. Participants are expected to cater for their needs on the other evenings, and cover their travel expenses. Gitta Kutyniok, Barbara Wagner (Institute of Mathematics, Technical University Berlin). All PhD students and early career researchers with an interest in the topics and techniques of this workshop can apply from all countries. The school is aimed at PhD students and postdocs, but advanced undergraduates are also welcome. We are keen to involve students with a diverse background. However, a core knowledge of differential equations and experience with MATLAB are desirable. in this order in a single attached pdf file (not in the body of the email). (Extended) Application period ends 02 May 2016. We plan to notify all applicants as soon as possible after this date. Applications arriving after the deadline will be considered if places are available. Please contact us for feedback and comments about this page. Last update on 19 February 2017 - 18:59.